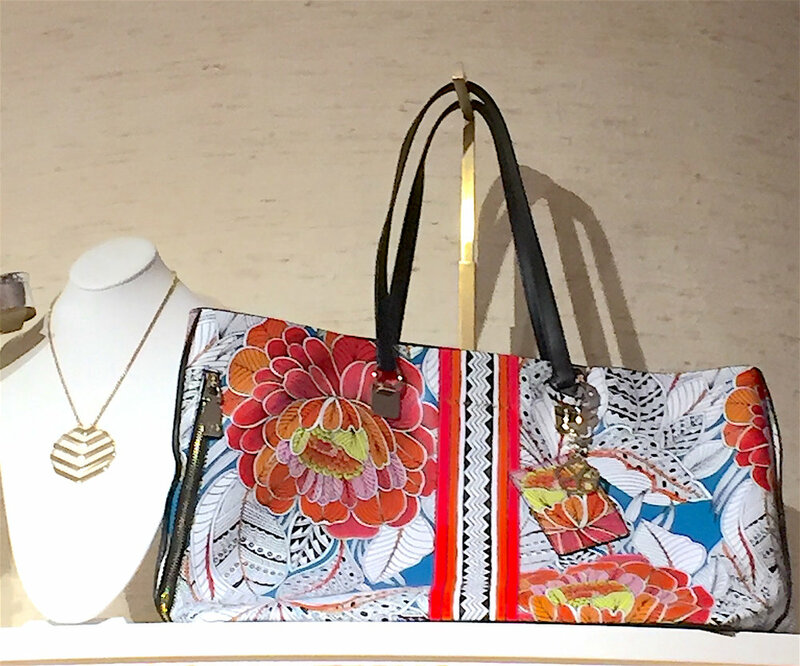 If you’re a regular reader of this blog, you probably know I live near Larchmont Village in Los Angeles and that I absolutely adore Trina Turk. Being from the East Coast, I have a deep appreciation for prints. So, obviously, this is a label I'm obsessed with. When I first moved to Los Angeles from New York, I remember going to the Trina Turk store on Third Street to buy Cali appropriate clothing. However, last year the store closed without warning. I was really sad. Not kidding. I was even there for what I didn’t know was the final sale. Forced to get my Trina fix at their outlet in South Pasadena or just buy it at all of the other stores where the line is sold, I still really missed their charming Third Street location. Yay! Trina Turk is here! Obviously, I was impressed with the clothing but the store itself was equally stylish. Designed by Bestor Architecture in a mid century modern style, the wood paneled walls and tile floors reminded me of the Palm Springs flagship location. It's not desert chic, it's just chic! The store had everything including clothing for men and women as well as accessories. I wanted all of the handbags! There was also a photobooth! Here I am with my friend Farah. Now that I can go to Trina Turk whenever I want, expect a whole lot more prints in my wardrobe!